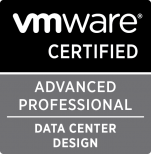 VMware is looking for candidates to Beta test the upcoming VMware vSphere release. And that’s where you come in. Do you want the unique opportunity to have your voice heard and help shape the future direction of vSphere? Weeks ago I reviewed Zerto in its previous version. The new one brings many new features that I’ll explain during this post. I’ll begin it installing in my vCenter Lab, and connecting it to another vCenter. In a later post, I’ll consider connecting to my Org in Cloud (it’s a vCloud Director Org). Join VMware experts for the April 19th VMware vForum Featuring vRealize Automation 7 Hands-On Lab. You can register now for this virtual event for a half day of breakout sessions, Hands-on Labs, and “Chat with the Experts” to learn more about this new release and take a test drive.